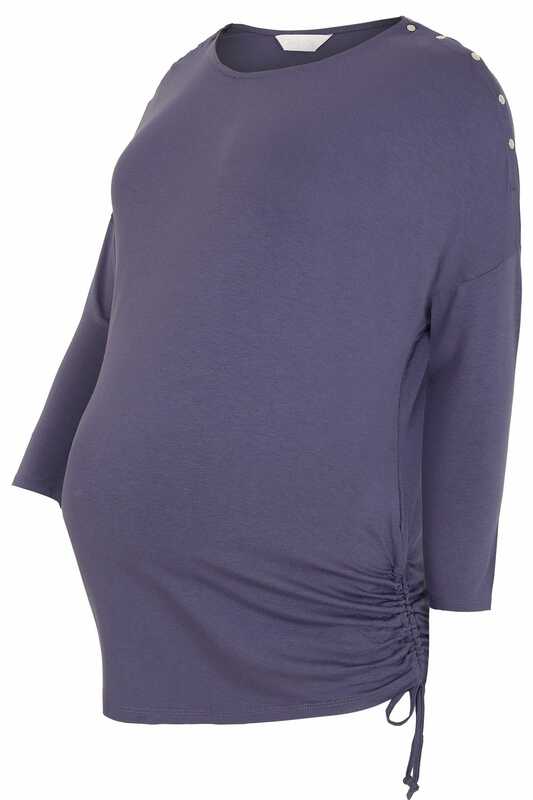 Made from a comfortable jersey fabric, this stylish maternity top is designed to give a relaxed fit. Featuring popper shoulders for ease when feeding your baby. Team with skinny jeans and flats for an on trend casual look. 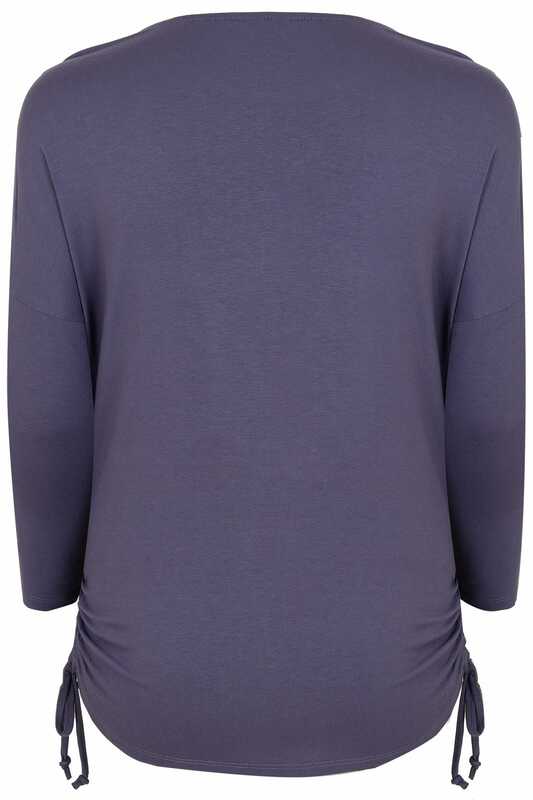 We love the on trend shade of purple and the metallic popper shoulders.